After my last batch of my Rye IPA, I decided to do a lower-alcohol recipe, something maybe not so hoppy. 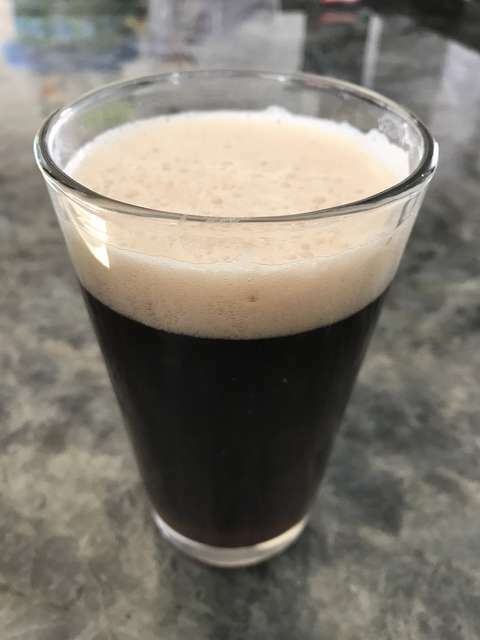 I decided to try a British Mild, so I set about designing a recipe for a mild, with a complex malt bill, and just a single hop. I brewed it with the Zymatic back in mid-February, and used Wyeast's 1968 London ESB yeast (which I've used frequently before). 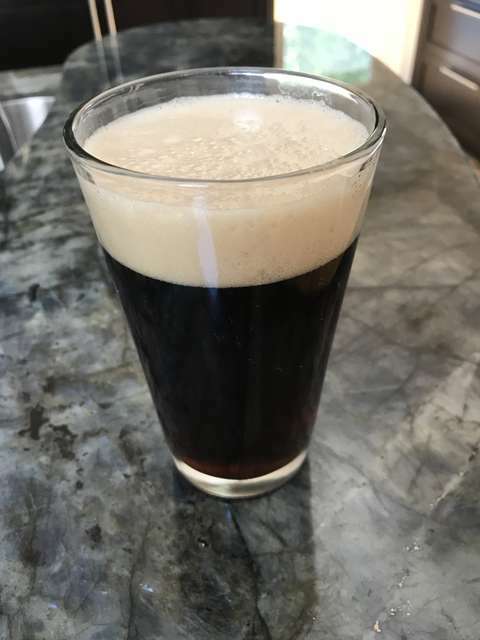 After a week in fermentation, I aged it for 2 weeks, crashed and then carbonated it for a couple weeks. I was going for a coppery-red hue, but it ended up a bit more brown than I was hoping for, but still looks quite nice. It has a rich, creamy head that leaves a nice foam lace on the glass, and has a smooth, rich body with definite malt complexity, and not very bitter. As design, this has an ABV of just above 3%, which is surprising for something so rich tasting and dark in colour. Not at all bad, very similar to some session red ales that Ive had before.